Freshly painted throughout, this home is MOVE IN READY! As soon as you enter through the glazed front door you appreciate the sparkling lake view to the rear. Light & bright. 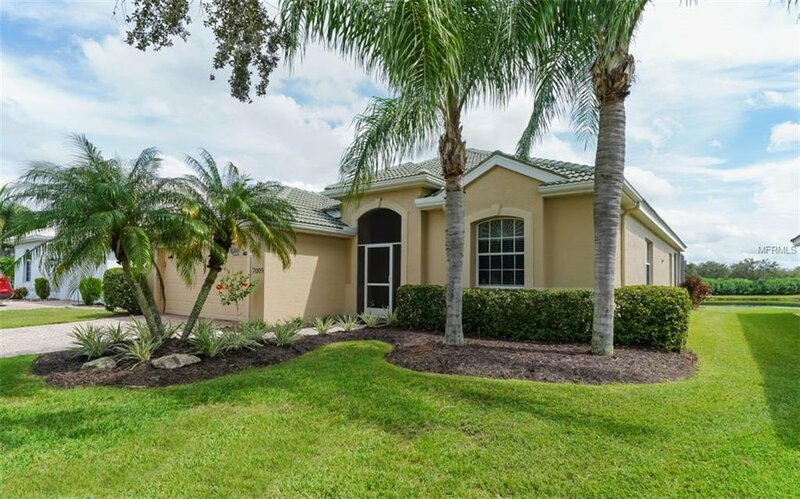 This lovely home offers a good sized kitchen with BRAND NEW STAINLESS STEEL APPLIANCES, Corian countertops, refinished wood cabinets in white, a tiled backsplash & breakfast nook with aquarium window. Large flexible living room / dining room combination. Three bedrooms all with laminate flooring. The generous master bedroom has an en-suite bathroom with dual vanities, shower & separate tub. Huge screened lanai / sun deck. ONE YEAR AMERICAN HOME SHIELD WARRANTY. Mote Ranch offers a community pool, fishing pier & kayak launch on the river. Low monthly HOA fee & NO CDD fees. Conveniently located with easy access to I-75, UTC mall, shops & restaurants. Enjoy the Florida lifestyle! Listing courtesy of KELLER WILLIAMS REALTY SELECT. Selling Office: MICHAEL SAUNDERS & COMPANY.